Posted on October 17, 2012 at 2:49 pm. Caught by Sam on October 13, 2012. 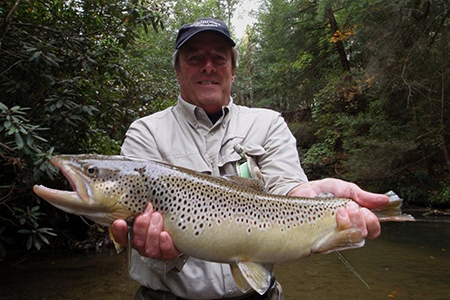 A Brown Trout weighing over 12 pounds, 25 inches long. He caught this fish on a size 16 Pheasant tail.